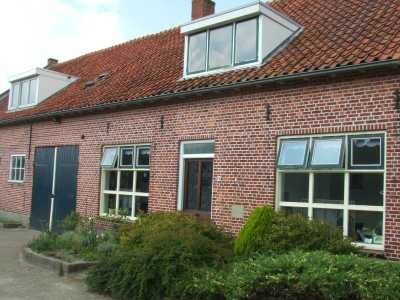 In our farmhouse in Baarle-Nassau we have converted the threshing floor into a guesthouse. 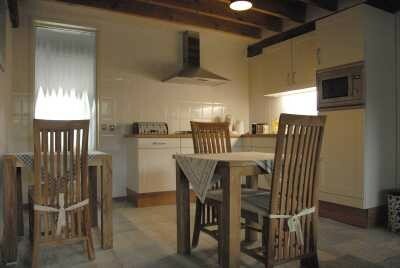 There are two bedrooms with private toilet and bathroom facilities. 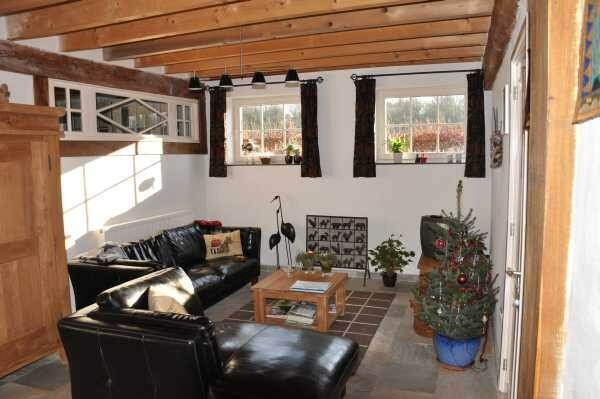 Together they have a fully equipped kitchen and livingroom. The village which is at a 5 to 10 minutes cycling distance comprises all facilities for an enjoyable stay such as a number of traditional bakers and butchers, and modern supermarkets. The idea of realising guestrooms was born out of the fact that we welcome guests from abroad throughout the year. The reason is that our dogs (Australian kelpies) are well-known among doglovers in Europe. That is why especially doglovers are very welcome. Although we live in a rural area, relatively quiet, we do have a busy household. Our family does not only exist of 6 members but we also have a few angora goats, horses, sheep and chicken. 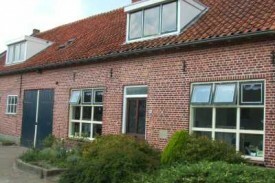 We live at the edge of the wood and Baarle Nassau/Hertog offers a lot of walking and cycling possibilities. There is a lot to experience in other fields as well, varying from visiting good restaurants, cultural cities in Belgium and the Netherlands, to visiting entertainment parks and museums. But even our enclave village is unique. We have two rooms available. In one of the rooms there is double bed sized 1.60-210 m. In the other room we have two single beds of 0.90 to 2.10 m. Every room has its own sanitary facilities (toilet, wash-stand and walk-in shower). You can either book a room for one or more nights, or you can book the studio as a whole. Price per room is € 60.- for two persons per night. Breakfast included. If you are on your own the price is € 37,50.- per person per night. Breakfast included. The cost for the dog is €5.- per dog per night. Please contact us if you have more than one dog. Our dogs (Australian kelpies) are well-known among doglovers in Europe. That is why especially doglovers are very welcome. A dog basket, water and feeding troughs are available. If required, you can also borrow a bench. No experiences yet with Bed and Breakfast Kelpiebrink. Be the first! Did you stay in Bed and Breakfast Kelpiebrink? Let us know what you thought about it and help others to make the right choice! * I confirm having stayed in Bed and Breakfast Kelpiebrink.